I just love the movie so much. It's fantastic. I also finally got my hands on the Thorin Oakenshield Key Keychain. It's big, but lovely. oo im gonna get the keychain too! how does it feel in hand? aahhh I want to get that! I know Adam & Graham do. Not sure about anybody else. He and Graham tower over most of the cast already, but I just discovered that Lee Pace is even taller than they are. I seriously can't wait to see them together onscreen. I think it'll be interesting to see how Thranduil treats Legolas. I'm so excited PJ brought him back, I agree it'll be interesting and hopefully not just fanservice. 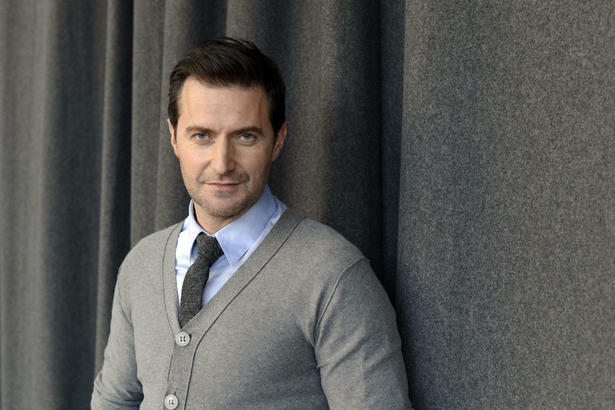 I really want a Richard Armitage one, but I'm sure he's got quite a stack of fanmail. I'd also love some from Dean, Aidan, & Adam. How is this the first time I am watching this, lol. There should be more dramatic message board readings like this. I showed this to my friend yesterday because she'd never seen it and I think it might have killed her because she messaged me a "lol dying" and then I haven't heard from her since. Any type of message board fights should forever be read aloud by Graham Norton.